All photo submissions are due March 25. For more information on contest categories, requirements and how to submit a photo, visit our Upcoming Events page and look for the Wet Your Whiskers event! All winners will be selected by popular vote at the event. Come out for an evening of appetizers and drinks (wine tasting with beer option), plus vote for the winners of the cat photo contest! There will also be a raffle and silent auction. Please come out and help us raise funds to aid our less fortunate feline friends here in Western NC! Click the image or here for tickets!!! 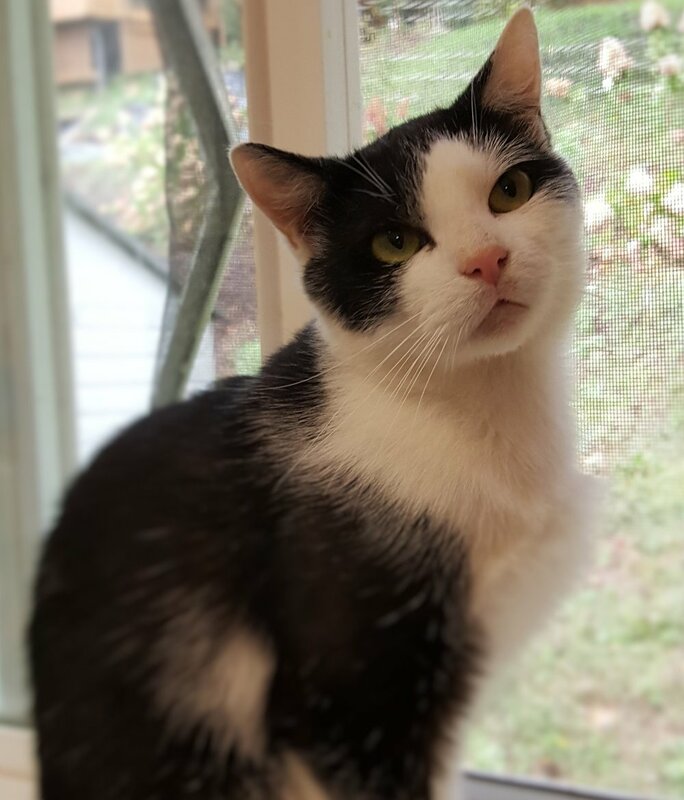 This sweet, playful young male (about 4 years old) is hoping to find his furever home! Although he was born at FUR, he finds our Sanctuary stressful because of all of the other cats. Although he might do well with one or two other cats, we think he would prefer having a loving home all to himself. To meet Oreo, just make an appointment. We just know his purrfect person is out there!